I recently spent a day in a Japanese kitchen. Aya, my teacher, made making the gyoza dumpling look effortless; my slow and steady process took twice the time, but still tasted ok. Aya’s mum always salts and rinses the cabbage before using, but we found it worked ok without this step. 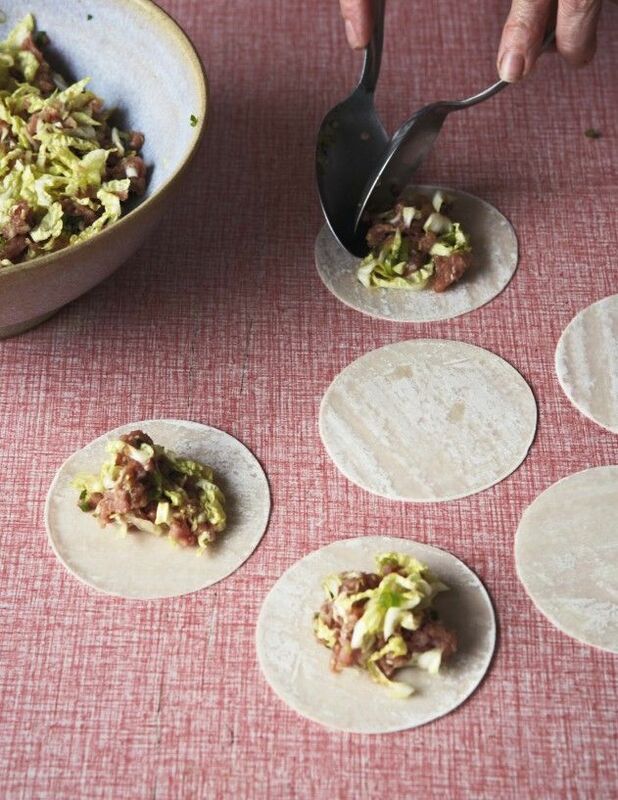 Combine the pork, cabbage, green onion, garlic, soy sauce, sake, sesame oil, caster sugar and pepper in a medium bowl. 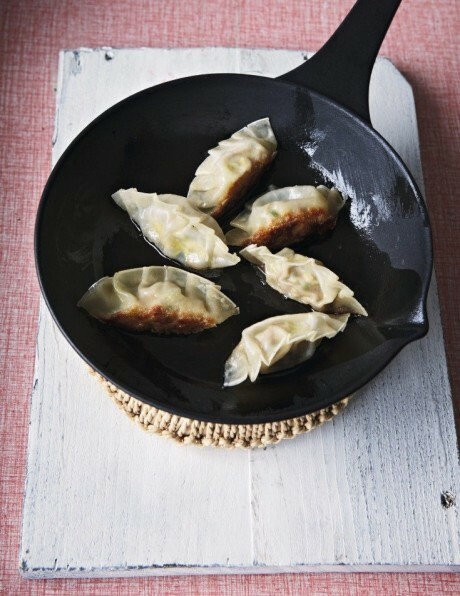 Place a gyoza wrapper on a clean work surface. Spoon a heaped teaspoonful of pork mixture onto the centre of the wrapper. Brush the edge with a little water. Fold over to enclose the filling. Use your fingertips to pleat the edge 4- 5 times. Place on a plate. Repeat with remaining pork mixture and wrappers. This sausage roast comes from my friend Xanthe Clay and is simply a case of putting everything in one roasting tin, popping it in the oven and sitting back to relax. 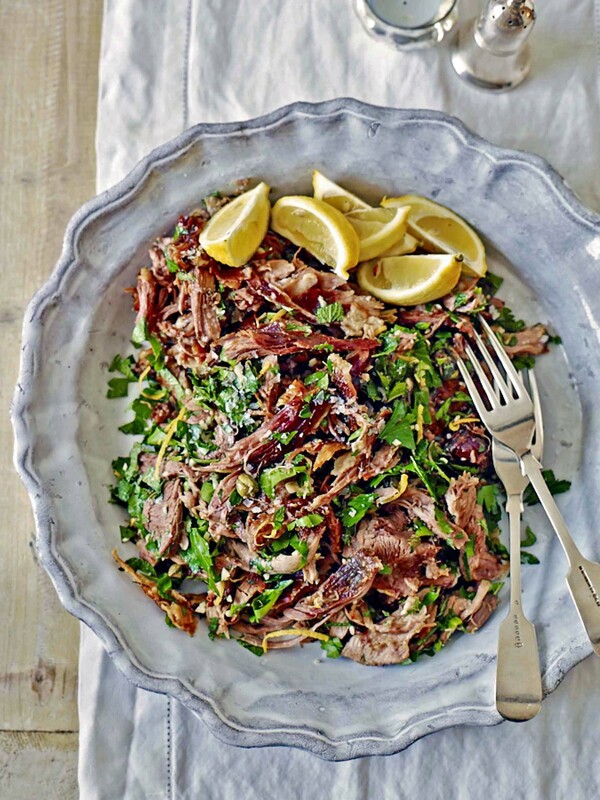 Within the hour you’ll have a tasty, comforting midweek meal. Peel and halve the pumpkin and discard the seeds and fibres. Cut the flesh into 2cm chunks. 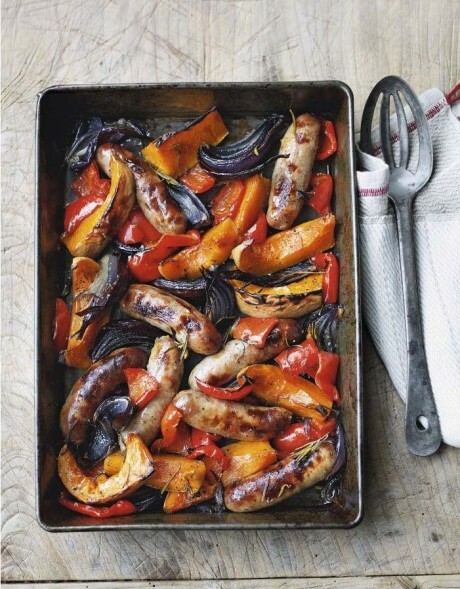 Put the sausages, capsicums, red onions and butternut in a large roasting tin.Scatter over the rosemary and season with salt. Drizzle with olive oil and stir the sausages and vegetables until coated. These delicious recipes work really well with the cheaper, awkward cuts like shoulder (or hand of pork). 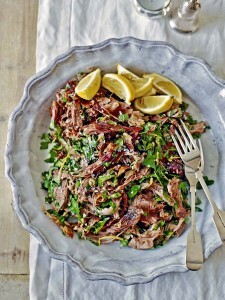 The slow cooking leaves you with meltingly tender meat that is then ‘pulled’ off the bone (or shredded) with forks. Combine the olive oil, spices, 1 tsp sea salt and rosemary. meat. Marinate for up to 12 hours. 1cm boiling water in the bottom of the tray and cover with foil (or a lid). hour and top up the water when needed. Rest the meat then shred or pull the meat off the bone. Combine the hoisin, soy sauce, shaoxing honey, five spice and ginger. Brush the mixture over the shoulder. Marinate for up to 12 hours. Preheat the oven to 140C. Place the pork in a roasting tray. tender. Check every hour and top up the water when needed.